Client needs are the driving force of everything we do at Ivanco, Inc. and these needs determine the size, type and features of the Telecor AssureCom emergency communication system we install on their property. We know the importance of easy accessibility and quick response times as well as offering everything at their fingertips, and Telecom’s systems provide the very best. Created with a multi-tiered design, each version of the Telecor AssureCom emergency communication system offers computer access to quick, easy and reliable methods of daily communication through existing private branch exchange lines as well as administrative phones. Meanwhile, a visual console supports the creation of customized alerts within a matter of seconds and sends them to multiple devices so that all necessary personnel receive notification quickly whenever the need arises. Following message transmission, AssureCom’s Event Management Interface confirms recipients and allows for the monitoring of rooms from a remote and secure location. One-touch message access transmits to multiple devices and provides updates from staff. Each emergency communication system offered by Telecor provides Intercom, Paging and Audio Program Distribution features that adapt and build upon themselves for communication capabilities throughout the areas of single or multi-building facilities. Common to each emergency communication system designed by Telecor, they all possess the capability of establishing direct channels of communication between any remote location and connected desktop instruments used by administrative personnel. The systems also have flexibility in their design to allow for the option of centrally locating certain equipment or distributing the equipment throughout a facility over the system network. Telecor paging and intercom systems can also be integrated into a much larger emergency communication system and notification system located at a remote central hub, creating capabilities for local systems to quickly and reliably distribute emergency messages to a central district office and vice-versa. Telecor offers a choice of legacy (Telecor II/XL) as well as network-based (eSeries) systems that cover a wide range of cost-effective solutions for businesses, schools and facilities of all sizes, spanning across the area to cover many hundreds of rooms or even a few. Offering two-way messaging, easy-to-use desktop instruments establish communication between administrative staff and personnel in designated areas. Personnel can simply press a single button to quickly initiate calls from their location to the administrative office in the event of an emergency. 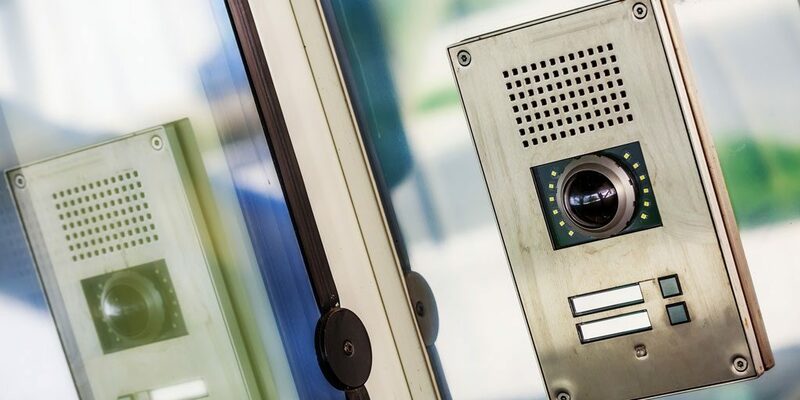 Suitable to more security-based applications, the Telecor T3-SC Security Communication System is comprised of intercom, paging and control functions. Offering advanced technology and flexible design, the T3-SC easily accommodates the unique needs of individual facilities ranging in size, making them ideal for a wide variety of clients. Driving the system, the T3-SC Controller supports various consoles for communications and control and a range of Termination Board Units connect field devices such as intercom and paging speakers, dry contact devices, contact switches, LEDs and Lamps. At Ivanco, Inc. we have a reputation for installing only the highest quality products designed for emergency communication and trust the superiority of each emergency notification system created by Telecor AssureCom. As a security company, our utmost priority is keeping our clients and their businesses safe at all times, whether during a crisis or simply during their daily operations. In our many years of installing quality custom commercial security and business security systems for clients throughout Northwest Florida, we have furthered our goal of providing the highest degree of service in all that we do for clients of all sizes by using only the best technology and products, and Telecor is a large part of that. Call the team of security experts at Ivanco, Inc. to learn more about how an emergency notification system meets your business needs today!